Recent advances in motors, batteries and charging technology have allowed electric lift trucks to capture 65 percent of the market over the last decade, and that trend is likely to continue. Modern electric forklifts are gradually replacing even some of their more powerful IC competitors. According to Mark Faiman, product manager for Toyota Material Handling USA, about 2,000 80-volt electric units are now sold each year. “For capacities up to 10,000 to 12,000 pounds, 80-volt electrics are a realistic consideration for an IC alternative,” he said. Reduced fuel consumption. Modern 80-volt units cost less to run than their propane counterparts. The Electric Power Research Institute (EPRI) Lift Truck Comparison calculator can be used to compare the cost of operating an LPG unit to one powered by a battery. Assuming a propane cost of $3/gallon and electricity at $0.11/kWh (kilowatt hour), running the electric lift saves over $30 per day. Outdoor capability. It's commonly believed that only IC equipment can be used outside. 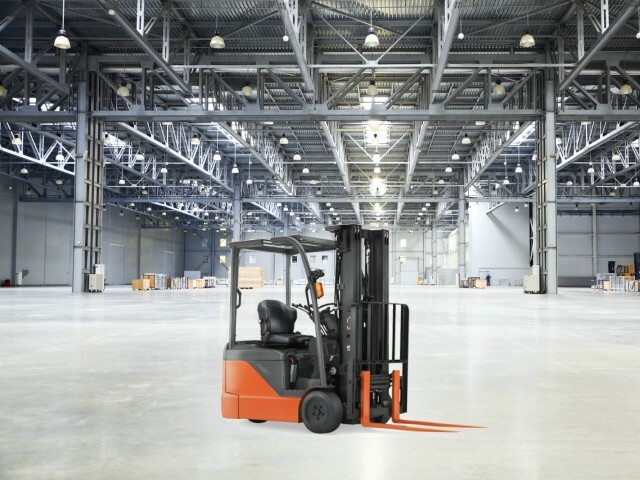 Two recent case studies by EPRI indicate that, as long as the lift truck can negotiate uneven terrain and operate in inclement weather, electric units work just as well as IC equipment both inside and outside the warehouse. Although electric forklifts have significant advantages, you must decide whether they're the best choice for your business. IC units cost less upfront, but the extra fuel and maintenance can cost you more over time. Electric units, however, require OSHA-compliant charging stations and large batteries that must be regularly cleaned and charged. Charge batteries at night to avoid adding to peak demand charges. A 24/7 operation may require additional batteries onsite to prevent downtime. Finally, the electrical capacity of your facility must meet the voltage and amperage requirements of the charging station.